A student was in my office recently. She had joined a protest on campus over #BlackLivesMatter. She’d seen a confrontation between Black and non-Black students in Baker Berry library and observed that the look in the faces of people on both sides of the divide could have been from 50 years ago. 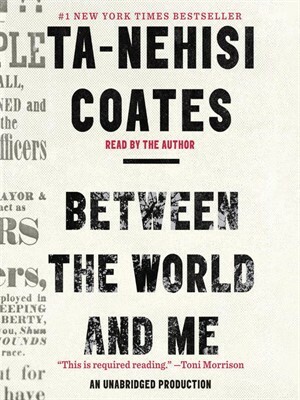 Ta-Nehisi Coates does not try to bridge that divide in Between the World and Me. His beautiful and poetic essay, written by a Black man to his Black son, pivots around the observation that “in America, it is traditional to destroy the black body — it is heritage.” No simple answers or quick fixes here. Coates is asking not just his son but you and me to struggle to come to terms with this reality. Easy read? Definitely not. Good read? Yes. Required read? Without question.